The Cost of UN Peacekeeping – A Good Deal or a Waste of Money? Leuven Centre for Global Governance Studies in cooperation with VVN organised a lunch lecture with a topic of “The Cost of UN Peacekeeping – A Good Deal or a Waste of Money?”. The lecture was given by Ambassador Peter Maddens who is a former member of the UN Advisory Committee on Administrative and Budgetary Questions (ACABQ) – a body that among its other tasks oversees peacekeeping funding – and a current Director of Global Economic Issues Department at the Belgian Ministry or Foreign Affairs. The lecture outlined the funding structure for the UN peacekeeping operations as a whole, as well as explaining the method of calculating each country’s contribution to the budget and the special role of the permanent members of the Security Council. The annual cost of the whole UN system, including peacekeeping, UN Development Programme and other related programs and organs, is approximately $30 billion. In comparison, this is less than the annual Wall Street bonuses before the financial crisis in 2007, about a half the running cost of New York City and less than a third of average American spending per year in Afghanistan. Peacekeeping is the single largest amount of the annual cost of the UN, currently varying between $7.5 and $8 billion whereas the regular budget for a two-year period 2012-2013 was $5,152 billion. Today, peacekeeping budget is about three times the size of the regular UN budget. Since 1990s the size of both budgets has increased in proportion to each other but peacekeeping costs are starting to increase faster and soon amount to four times the regular budget. In 1994, the regular budget was $1,5 billion and peacekeeping $3,5 billion. Initially, peacekeeping costs were a part of the regular budget but Cold War politics led to the creation of a separate peacekeeping budget in 1963. The member states thus make contributions, or pay arrears as the UN payments are called, to both UN regular budget and to the peacekeeping budget. The arrears for peacekeeping budget are based on the scale of assessments for the regular budget calculated from economic factors, such as GDP and external debt. At the moment, twenty-five largest contributors pay over 90% of the peacekeeping costs. The amount how much each country contributes to peacekeeping depends on the assessment scale that is constantly reviewed. The scale is calculated from regular budget based on economic factors, such as GDP and external debt, and it has both aceiling and a floor, which currently stand at 23% and 0,001%. The smallest percentage, 0,001% represents approximately an annual payment of $25 000. However, due to inability to pay for a variety of reasons some developing countries get a discount of 7,5%-90% on their payments. The gap in the budget created by the discounts is covered by the P5 based on their special responsibility for peace and security specified in the UN Charter. As a result, the US contribution for 2014-15 is 28,4 % of the budget, or $2,1 billion. The peacekeeping budget consists of the individual budgets decided separately for each peacekeeping operation by the General Assembly(GA). There is significant variation among the costs between different peacekeeping operations. For example, the budget of the UNMIK operation in Kosovo for 2013-2014 was 45 million whereas for the MONUSCO operation in the DRC it was 1,5 billion. The distribution of the peacekeeping budget is to an extent political and there is desire to reserve a certain amount of resources for specific activities, such as the MINUSTAH operation, which is the only mission in Latin America. One of the main aspects of the peacekeeping budget is personnel costs and for each operation the number of military and police personnel is determined by the Security Council resolution and then the GA decides the total size of the mission by determining the number of civilian personnel. Troop contributing countries (TCC) and police contributing countries (PCC) both exert significant pressure within the UN system to avoid adhere impact on the military and police personnel they deploy. The negotiations over the peacekeeping budget have multiple layers of tensions and the countries are divided over a variety of issues. TCCs, who in the past consisted of Northern countries but now increasingly come from the global South often clash with the Western countries who are the financiers of peacekeeping due to their larger contributions to the budget. This North-South tension is evident on many other issues on the UN agenda similarly to the repeatedly resurfacing divisions between P5 and the rest. Reimbursement for peacekeeping troops are not based on the actual costs borne by the country, instead there is a monthly allowance per soldier of $1000. This figure was decided about 20 years ago and it is due to be raised by 17 per cent, which is actually less than the cumulative inflation. Often it does not to cover the total costs of the peacekeeper, especially in the case of Western armies. However, the cost of deployment is lower for developing countries and for them being a major TCC is often financially benefitting. For instance, approximately one third of Ghana’s army serves in UN operations and the deployment costs them $300 per soldier and for each soldier Ghana receives a payment of $1000 from the UN. 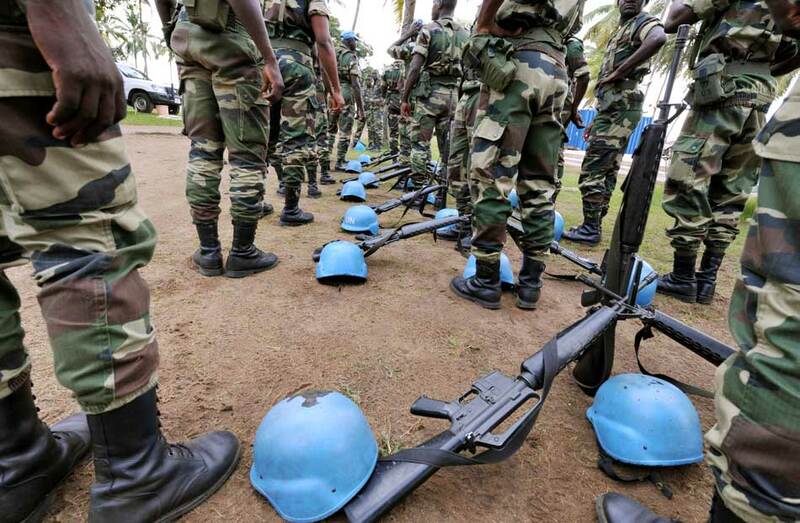 In the end due to the surplus, the UN covers also the cost of the soldiers staying in Ghana. Even though it was not initially envisioned by the founders of the UN, peacekeeping has become indispensable, and to maintain its efficiency and the impact of the operations a sufficient budget is required. This entry was posted on 20/06/2014 by ISIS Europe in Conferences, Contributors, Saara Ilmonen and tagged Peacekeeping budget, Security Council, UN, UN financing, UN Peacekeeping, United Nations.